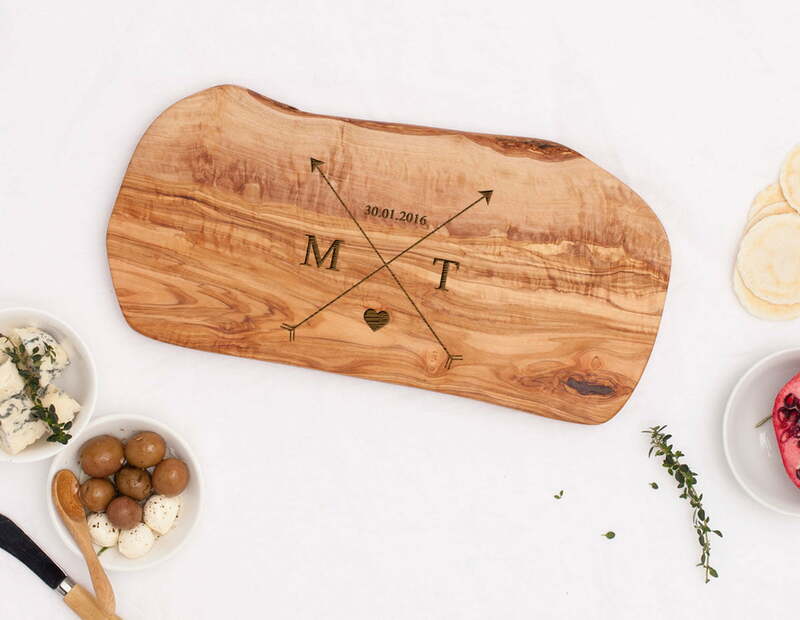 This Personalised Arrows Olivewood Cheeseboard is the perfect little sentiment for the happy couple! Whether as an engagement gift, anniversary gift or even a housewarming gift, they’ll use any excuse they can to use their personalised cheeseboard when entertaining. Simply use the fields located above to personalise this item. 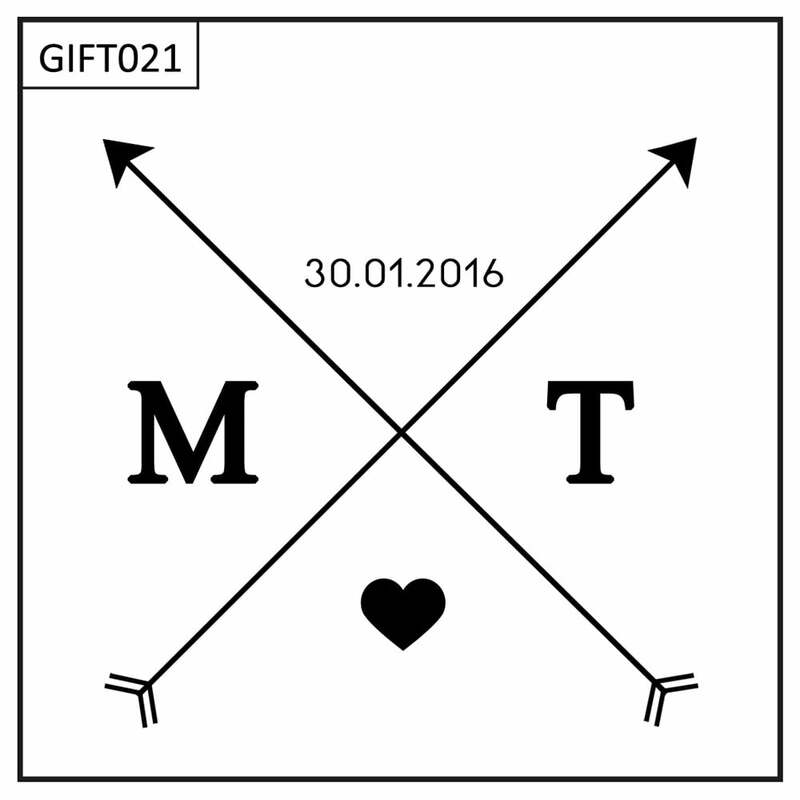 We are happy to make design changes at no additional charge, such as changing the heart to another symbol, removing the date, etc. Simply contact us with any changes you might like. Please note: Each olivewood board will be unique in characteristics due to the way they are harvested. 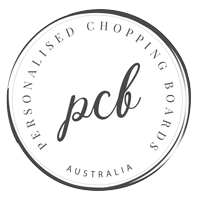 Each board will vary slightly in colour, grain and shape, and may also have a live edge. Live edge refers to a raw state of timber and is the natural edge of the wood under the bark after it has been cut. 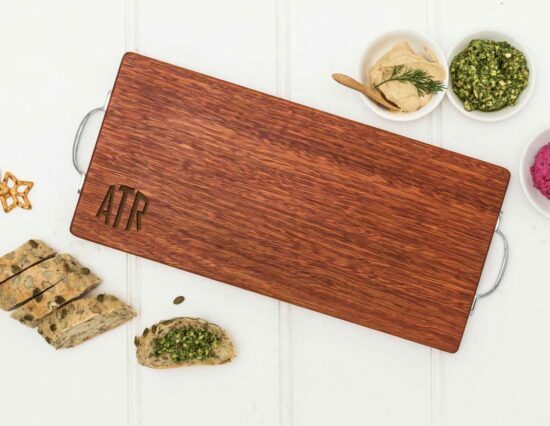 This product is made from Olivewood (sourced from Tunisia), and has naturally occuring antimicrobial properties. Olivewood is a type of hardwood with a striking grain pattern and is a closegrained wood, allowing it to stay smooth for a long period of time. 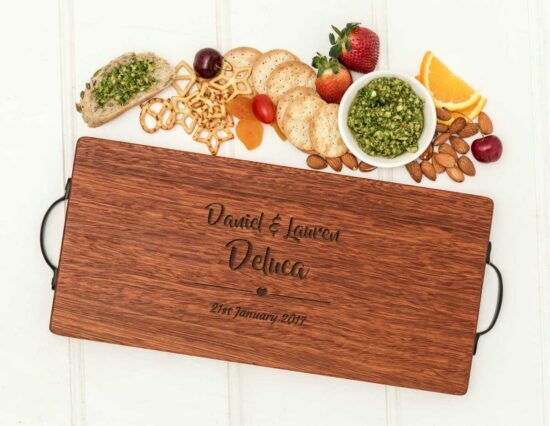 Please note, these cheeseboards are individually crafted and as such, will vary from board to board in terms of size and grain.